Home › Electronics › Iphone 7 Case By Yousave Accessories [0.5Mm] Super Slim & Lightweight Soft Fl..
Iphone 7 Case By Yousave Accessories [0.5Mm] Super Slim & Lightweight Soft Fl.. Exact fit for the iPhone 7 model (2016). 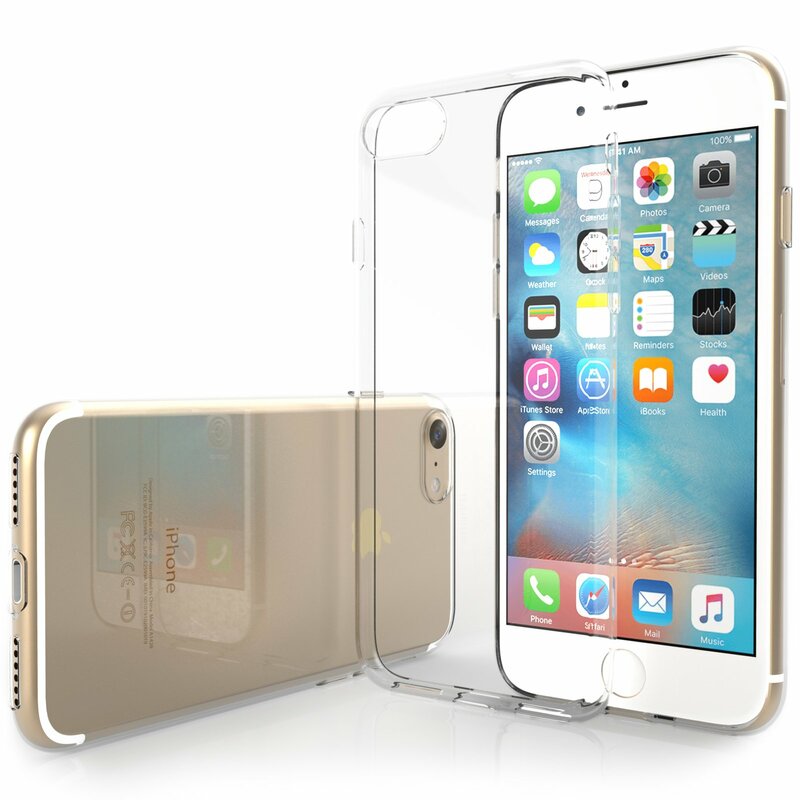 Super-slim clear gel phone case; provides optimal protection for your Apple iPhone 7. Premium quality silicone TPU gel build: For effective protection and a discrete, professional appearance. Protection from scratches, scuffs, knocks, drops, and scrapes. With a raised lip for placing your phone face down safely. Handy, precision cut-out ports and stylish button moulds for easy access to all features and buttons. Includes a clear screen protector and microfibre cloth for extra care and protection. Size: iPhone 7 Super-Slim Clear TPU Gel Case for the Apple iPhone 7 With a slim-line silicone TPU gel body to ensure minimum weight and optimalprotection, this iPhone 7 case is the best unobtrusive and lightweight optionfor protecting your new smartphone from damage. With a clear gel body, thiscase is extremely low profile; allowing you to preserve the unique look ofyour iPhone 7 while still providing maximum protection to the interior andexterior of your new mobile phone. An Excellent Degree of Protection This iPhone 7 cover is extremely easy to fit; simply slot it around the backof your phone and ensure it is firmly in place. Once fitted, the rubberizedcase provides an excellent degree of protection from scratches, scuffs, drops,scrapes, and dents; as well as providing a barrier against impacts and thedamage they can cause. Handy Ports, Cut-Outs, and Buttons The iPhone 7 case comes equipped with a number of handy cut-out ports andbutton moulds, enabling easy access to all external features of the iPhone 7including the charger port, camera, power button, and volume controls for easeof use.